Now that the weather is finally warming up, it’s time to visit the Raleigh Farmers’ Market! While it’s a wonderful place to visit all year for some of the best meats, cheeses, and baked goods you can get, plus artisan crafts, candies, and local gifts, spring is when the market comes alive! Farmers from all around the region bring fresh, delicious fruits and vegetables to sell along with gorgeous, thriving plants and flowers to brighten your home. Getting your vegetables from the Farmers’ Market gives you access to the freshest, most flavorful fruits and vegetables you can find. To help you make the most of the spring bounty, we’re sharing three easy seafood recipes that feature these seasonal favorites! With a bright flavor and earthy undertones, asparagus is a member of the lily family and is at its peak in spring. Not only is asparagus delicious when cooked well, it’s an excellent source of vitamins, antioxidants and fiber. To get the best flavor and texture, lightly steaming, roasting, or stir-frying asparagus stalks produces a great result. Add shrimp and season with 1/2 teaspoon of salt and the crushed red pepper. Cook until the shrimp is pink, then remove and set aside. Add ginger, garlic, and sprinkle with the remaining 1/2 teaspoon of salt. Stir the asparagus frequently over medium-high heat until it is tender, but still crisp. Return the shrimp to the skillet, adding soy sauce. Stir until the ingredients are combined, then stir in lemon juice just before serving. Recipe brought to you by Tasty. Leafy greens thrive in spring, making this a great time of year to get fresh, tender spinach (or kale, collard greens, or Swiss chard!). With tons of vitamins, minerals, and antioxidants, you can’t go wrong by adding spinach to your diet, whether you blend a handful into a smoothie, add it to a soup, or sauté it with seasoning. Spray a 9×13-inch baking dish with cooking spray and layer the spinach across the bottom of the pan. Sprinkle the spinach with salt, pepper, and onion powder, then drizzle with chicken broth. Season tilapia fillets lightly with salt, pepper, and Creole seasoning. 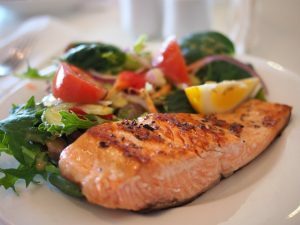 Arrange the fillets over the spinach and add your chopped tomato and sliced green onion to the top of your fish fillets. Cover the baking dish with foil and bake at 350 degrees for 12 to 15 minutes, or until the fish is tender and flakes with a fork. Any white, tender fish can be used in this recipe, including flounder or trout. Paired with brown rice or a baked potato, and you have a lovely, healthy meal that’s quick and simple to put together, even on the busiest weeknight! Recipe brought to you by The Spruce Eats. Broccoli is another vegetable that reaches its peak in the cooler months, so the Farmers’ Market should have a lot of fresh broccoli that offers a much better flavor than the stuff at the grocery store! With folic acid, potassium, and fiber, plus plenty of immune-boosting vitamin C, broccoli is beneficial to your health. Roasting broccoli releases its natural sugars, giving it an incredible depth of flavor with a crisp texture. Preheat your oven to 425F and spray a large sheet pan with non-stick spray. In a small cup or bowl, mix a tablespoon of olive oil, lemon juice, and tarragon. Arrange tilapia fillets on your sheet pan, taking care to avoid overlapping, then season with garlic powder, salt, and pepper. Drizzle oil mixture on Tilapia fillets. Add the broccoli and tomatoes to the pan, surrounding the fish fillets, and drizzle or brush the remaining olive oil blend on them. Like the Spinach bake, you can use flounder or another of your favorite white fish! From start to finish, this is a meal that’s ready in just 30 minutes and is both healthy and delicious! Recipe brought to you from No Plate Like Home. 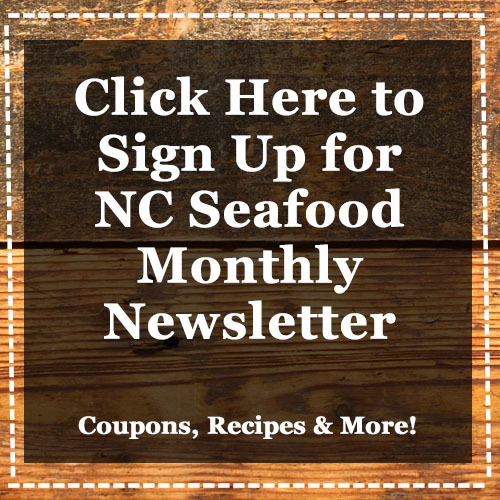 After your visit to the Raleigh Farmers’ Market, be sure to stop in at NC Seafood for lunch or dinner! We offer fresh, top-quality fish and seafood plus all your favorite sides that you and your family will love at affordable prices. Be sure to check out our coupons to save on your next visit! Want to get dinner on the way home? Not a problem – place your take out order today at 919-833-4661 or check out our menu so you’re ready to order when you get here!